Step 1: Process the payment to Update your tunes. Step 2: After purchase, you will need to submit an MPT Tune form. This will put yourself in line for tune updates. When filling out the form, you will be asked "Is this an update/log review to an existing MPT Tune?". You will select "Yes, update/log review" and click next. Answer the questions on the following page to complete the tune form. Step 3: Your tunes will be built/updated/revised to the information submitted and emailed to you with instructions on how to load them. It's that easy. Any questions, just ask. Tunes are completed in order received, average turn-around time is 2-3 business days. We have a RUSH option to skip the line and get your tunes completed in 24 hours or less. 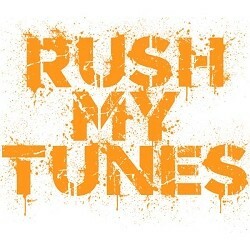 You may purchase a RUSH MY TUNES HERE. This tune update charge can be used for several different situations. Purchasing a tuner with MPT tunes or an MPT tune enrolls you in our free program automatically. No registration needed. For Dealer re-flash or update of PCM an update fee will be necessary. For parts purchased through an outside vendor an update fee will be necessary. The tuning process starts when MPT has sent the first file. We put an extreme amount of time and effort into creating each and every MPT tune. MPT tunes include 60 days of preference based updates. After 60 days preference based tune updates may require a tune update fee. If you are out of the 60 day window and the strategy of the vehicle has changed requiring us to build new tunes from scratch, you may purchase a heavily discounted Tune Update. If Ford updates your stock file, requiring us to build a new set of tunes you may purchase this heavily discounted Tune Update. MPT tunes are written for a specific serial number. If you have existing tunes from MPT, but have replaced the tuner with an upgraded model but purchased it from another vendor you may purchase a heavily discounted Tune Update. After purchase, you will need to submit an MPT Tune form. This will put yourself in line for tune updates. When filling out the form, you will be asked "Is this an update/log review to an existing MPT Tune?". You will select "Yes, update/log review" and click next. Answer the questions on the following page to complete the tune form. Tune Updates are like for like on the existing tunes, meaning the update doesn't include changing elements of the tune such as octane, type of tune, removal/addition of transmission tuning, etc. This tune update does not cover major changes to supercharged/turbo charged vehicles. If a modification is added that requires a full retune, then contact us directly to discuss options. I''''''''''''''''''''''''''''''''ve owned MPT, Lund, and Bama tunes, all as aggressive as they would tune on 93 octane. If I had to rate my 3 tunes (after datalogs and retunes) I would rate them in this order of best #1 MPT, #2 Lund, #3 Bama. I have owned my MPT for over a year on a fully modified 13'''''''''''''''''''''''''''''''' 3.7 Mustang, I have not had one problem to date with the tune. I recently had to have a tune update outside the 6 months tune period for ported upper/lower intake manifolds. I got a quick turn around and excellent tune revision as expected. Take it from someone who has owned all 3 major tunes for the 3.7 V6. Don''''''''''''''''''''''''''''''''t waste your money on any other tuning company, buy an MPT tune from the start if you want the best tune available hands down. A fellow Pony up mustang car club member recommended MPT tuning for any of my mods on my coyote. I'm only running the performance tune and it really wakes this car up . I'd recommend MPT to any fellow mustang enthusiast. Ken Osborne, all I can say, this dude is my favorite. He is strait forward, no bull shitting around guy. He tells you how it is and gives honest opinions and recommendations on parts for my vehicle that would be a waste of my time and money if I were to buy them. I listen to Ken, he knows how to write tunes like to other mail tune company out. That is the ABSOLUTE truth. Tries them all, ALWAYS RUNNING A MPT TUNE. That's got to say a lot. There tunes are up to date and smooth. NO one, No one has tune "versions" , meaning, MPT is ALWAYS improving and tweaking the tunes the have for each truck car and for each and every different mod set up! They also do price comparison, so it looks like MPT is my one stop place to go! I just want to say that i purchaseds my sct 4 tuner from mpt.They tuned my car and it ran really nicew just stock.Then i bought free flow exhaust added the steeda cai and bbk throttle body.I then went back to mpt for a revised tune.....SHAZAAM!now my car kicks rocks like i expected it too.thanks again mpt for a great tune and exceptional customer service.I live in alaska and out of all the companies i buy parts for my mustang and chevys they are the only onesa that email me out of the blue to check on me and my car. About a year ago I switched from a Bama 91 octane tune to an MPT performance 91 octane tune and I could not be happier. The throttle response was immediately effected and it really felt like it woke the car up. And the customer service from MPT is incredible. I had a few issues with my stage 3 ghost cam tune and Mike fixed it right away and had it running perfect. I would recommend this company over anyone any day. I purchased my X4 device with 3 custom tunes, the delivery of the tunes was fast as soon as MPT got all the info needed. modifying my truck over time, i had to update the tunes. As expecting, they were fast, reliable, and great end product with service. Thank you. Great tune! MPT is the best! Thx guys at mpt!!! Yes the new tunes are excellent!!! I love 2 make my wife mad just so she'll gas it!! Stang hammers all the way!! Currently running 87perf tune getting about 18mpg Thanks so much!!! Aloha's Pete b. Excellent update. Corrected all of the little issues I had. Great tune. I get nothing but compliments daily. Have kept this tune active for a few months and it still drives strong! MPT was fast and quick to respond to my questions and when I needed my tunes updated. Very Great Company! I really enjoy working with the great people at MPT. Either on the phone or through emails their staff have always been more than willing to answer any questions I have or help me adjust a custom tune to better fit my needs and or application. I have been a customer for several years and I have nothing but good things to say about the tech team and the sales team. One thing I really appreciate is the value I get for my dollar spent with MPT. MPT has excellent customer service and tunes. Ive gotten multiple tunes from MPT and have been very happy with them. This is a company I gladly stand behind. Being an overseas customer like me or even domestic you may be sometimes afraid that tuning your car by email is risky. Not at all, with MPT you can be sure that "everything's gonna be alright". You don't have to afraid of anything. MPT does the job so well that I have a feeling that I drive different car. I ordered 98 octane RON (European equivalent of US 93 octane) and mentioned MPT of mods I already had. With just JLT cai, Roush exhaust, 3.73 gears and MPT 98 Ron Performance tune you can really feel the difference comparing to stock. Not only improved a throttle response but they gained so much power. Not to mention about the $70 price, really bargain. All you have to do is to get a SCT tuner. All I would improve a little bit is quicker response on customers emails but I can imagine that they receive so many emails each day and how busy they are. So just to be patient and to wait for a reply 2-3 days. Not a problem. Thanks MPT! great tune! Great customer service! Have not installed or x system yet. I am sure the quality MPT will be the same as my current MPT 93 race tune. The tune update fairs pretty well thus far. I added an Airaid intake airbox and the Cool/Chill settings definitely save me gas mileage, by 1 mpg vs stock setting and quite a bit vs SCT settings, it also tones down the growl unless you really step on the gas & even then it''''''''s nice.. which I like. I don''''''''t want it to be too loud anyway. It also gives you power when you need it. I still went from 50mph to 80mph in 2-3 seconds. Haven''''''''t tried the Sport or Race settings yet, but I''''''''m sure they''''''''ll do their jobs. Thanks guys! Hands down the best tuner for your mustang. I used to have a tune from the other guys *cough Bama cough*. You can do several datalogs with them and nothing gets fixed or changed. 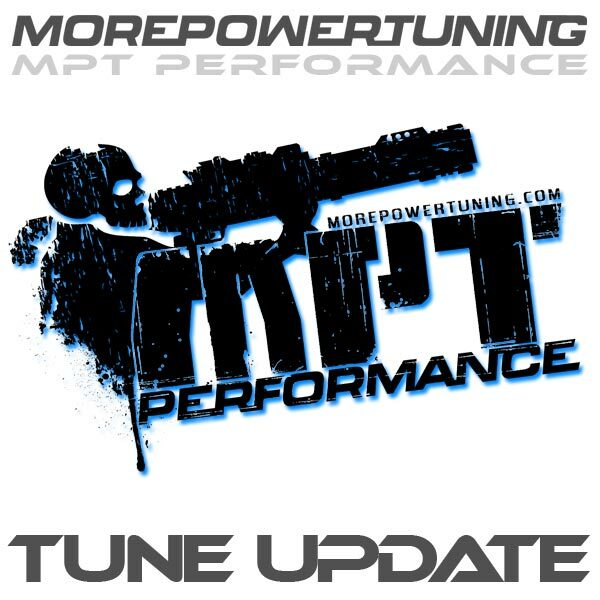 With MPT you get the most aggressive tune for your V6 and when you send MPT a datalog their revised tunes actually improve over your old tunes. I also get no idle surging with my long tube headers installed on my 12 V6. Mike and Ken are easy and friendly tuners to work with. faster than expected turn around(1) day. tunes are awesome as usual. MPT Tuning is an amazing company. They are attentive to their cuatomers and are.very good at what they do. My tune is perfect and they have no problems in readjusting the tune until its right. Their turn around time is stunningly fast. My tune changes the power, shifting and smoothness of my f-150 ecoboost Raptor dramatically. My truck runs much better the 93 octane performance tune. Thanks! James did a bang-up job getting my tune update. My original PRX tune for my 2013 F-150 EB was from early 2017. I inquired if there was an update and there was. This PRX tune is far better configured. Power is the same but drivability (throttle management) and transmission management is far better (shift points and the super harsh WOT upshifts are milder too). I love this tune even more than the first one. A significant improvement! Couldn’t be happier with choosing MPT for my 2013 Ecoboost F150. Orders 4 different tunes now and they were all described and performed perfectly. The costumer service I recieved couldn’t be better either. As always awesome tune this 93 PRX tune is the fastest tune I have for my F150 and I have several other competitors tu ne but MPT is definitely the best. Had something I wanted changed after a while of having the tune so I bought the update. Mike has the truck running like a dream! Ordered tune update to adjust shift points and speedometer when I changed the gears in my truck. Speedometer is within 1-2 not of my GPS and shift points are just where they need to be! Hands down best tune on the market, if you’re on the fence about any tunes stop your search and purchase an MPT tune today. These guys really know what they’re doing have beyond excellent customer service and are willing to help with any questions you may have. Been a loyal customer since my first 93 Prx tune and wouldn’t have it any other way, this tune rocks day and night ! I recommend Mpt tunes to anyone looking for a quick boost in they’re 5.0 even 3.7. Even if your only mod is a cold air intake, an MPT 93 octane will make the difference. Want to add that the guys at MPT are always quick to respond if you have any issues. I can’t say enough great things about this company. They respond quickly, provide excellent information, and the tunes are great. I recently asked them about a tune upgrade because the F150 was maintaining charging voltages lower than what I wanted. They modified the tune and my voltages are solid at 14VDC and slightly higher when they used to sip into the 12’s. I’m eager to try their latest tune that they informed me about along with the 14.5VDC mod. I gotta say I couldn't be happier with this update. Smoother power and more fun to drive. The shift points are perfectly matched to the acceleration. If you haven't tried a tune from MPT you're missing out! I have received several tunes & tune updates from MPT in the past two years. This new 91 Performance tune is probable the most responsive yet. I always have been very satisfied with my purchases. MPT customer service has been awesome whether via e-mail or phone. They address and answer all questions or concerns anytime. They follow up and take care of you no matter what your purchase is. The 93 prx tune was spot on and shifting is precise, smooth and throttle response is perfect. Very happy with MPT and their willingness to make sure you are satisfied. Truck runs very strong with no hiccups! As to be expected, Mike knocked it out of the park again with the PRX tune. I have been running his tunes in my ecoboost F150 for over two years and really love how they perform. Currently working on tunes for some upgrades (GT Turbo's) and looking forward to the results. Very good tune has worked great everytime i spray. Definitely better than stock but not by much. The 87 race and 93 race I originally had in 2016 could easily be told apart. The 93 felt way more responsive and powerful. Now I can barely tell any difference on the street or the strip. I do have a 3400 stall converter now but I should still be able to tell a difference between the tunes. Also wish my shifts were at 6500-6600 rpms instead of 6000-6100 like my original tunes. Used to always chirp 1-2 shifts but now it rarely happens. My last tunes i ordered were 87 race, 87 economy, and 93 race. My 87 tunes were mismatched because when I programmed my 87 eco in it shifted at 6500 rpms and felt pretty good. Then when I programmed my 87 race it had no power and shifted at like 5500 rpms. So maybe so mixup happened with my update too? Maybe it's the sct computer program that did it? All that aside the race tunes are better than stock and customer service is awesome. But I do wish I had my old 93 race with my current setup. I have an Custom tune through these guys and this tune update is just what my truck needed. Mike at MPT really knows his stuff. Thanks Mike. I've been running tunes on my 2013 f150 ecoboost for a few years from multiple companies and have been happy. I've always been really impressed with my MPT tunes but just recently upgraded to a91 PR-X and holy s#!t!! Wow! This tune is freaking insane in a very very good way! I was just about to try a couple other tuning company's tunes before I got my PR-X and now that I've got it I'm fully satisfied and will no longer be trying any other tunes. The shifting, throttle tip in, KR and power are amazing. Verrrrrry happy! Q: What does this tune update mean? A: A tune update is when you have purchased tunes from us and need them changed due to you modifying your vehicle or you are outside your 60-day window for preference-based changes and need something modified like how the vehicle shifts for example. Keep in mind, that any upgrades or modifications you purchase through our website will get you a free tune update for that part! Was this answer helpful? 29 of 30 Customer(s) found this Answer helpful. Q: should i expect my tune updates to be free of charge since i purchased my tuner plus more from you?? A: Any part you purchase through our website, after receiving your original tunes, will come with a free tune update. You will just need to submit a custom tune form for it. Any part you buy from another vendor will require the purchase of a tune update. Q: I currently have an 87 Octane street performance tune from you guys - love it. My question is, I would like to go up to 91 Octane. What would be the best course of action? Would I have to buy a whole new tune? Am I covered for a free update in this situation? Or would I have to purchase a tune update? Thanks, Dylan PS: At a later date, I'm changing my rear gear to 4:10:1 - could the rear gear ratio option be left unlocked and changeable by me on the tune? A: A tune for a different octane would require a new tune purchase, but with an existing customer discount. In your case, this discount has been applied to your account, so all you have to do is log in. We typically leave gear ratio as an adjustable options in our tunes, but if you don't see that, just reply to the email where you received that tune. If you have a manual trans you're perfectly good to go with the on device adjustment, but if you have an automatic, you'd be better off purchasing a $20 tune update so that we can make appropriate adjustments to your shift schedule to suit the new gear ratio. A: We can update your tunes for those modifications. However, you will need to purchase the heavy mods add-on for those modifications as well. A: If a modification requires a change in the tune, you would just purchase a tune update and then, fill out a new custom tune form for the update. Just a single purchase will cover all tunes you have from us. Q: In the options I put my vehicle year but it doesn't show my vehicle which is a crown Victoria? A: We apologize for the error on our site. The Crown Victoria is now listed as an option in the dropdown for vehicle model. Q: If I had an MPT tune from my previous 2014 Mustang V6, can I use this update feature to "update" the tune for my new 2016 Mustang GT? A: This purchase is for when you do a physical modification to your vehicle that requires a tune revision. Tunes are vehicle specific. You will need to purchase new tunes. They cannot be moved from one vehicle to another. Also, we currently do not offer tunes for the 2016 Mustang GT. Q: Can I use the tube update option to change my street shifting tune to a stock shifting tune? A: That would be a separate new tune, rather than an update. Q: I am changing my stock gears from 2.73 gears to 3.73 gears do I do the same process as to when I got my custom tune? and fill out form and send it to you guys I just paid 20 dollars for a update I just want to know if I did the right thing thanks! A: After purchasing a Tune Update, you will need to submit a custom tune form. For Vehicle Type, make sure you select "Existing Tune Update". For Purchase Info, make sure you select "Update for Existing Customer". Next, select the option that describes your tune update, and in the comments let us know specifically what you need your tunes updated for. Stock File Changes: If the stock file is updated by Ford requiring a new set of files to be built, you may purchase the heavily discounted MPT Tune Update.